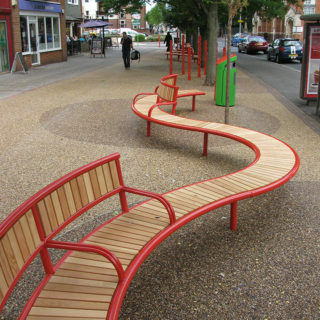 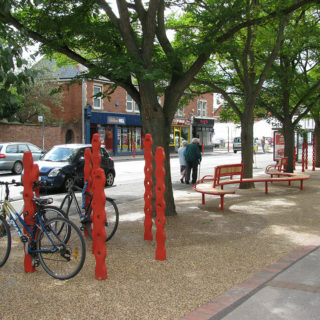 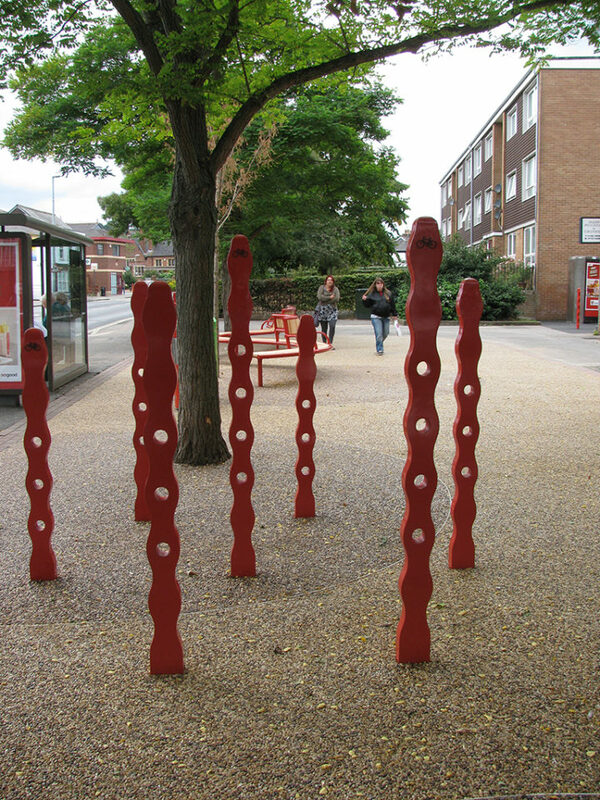 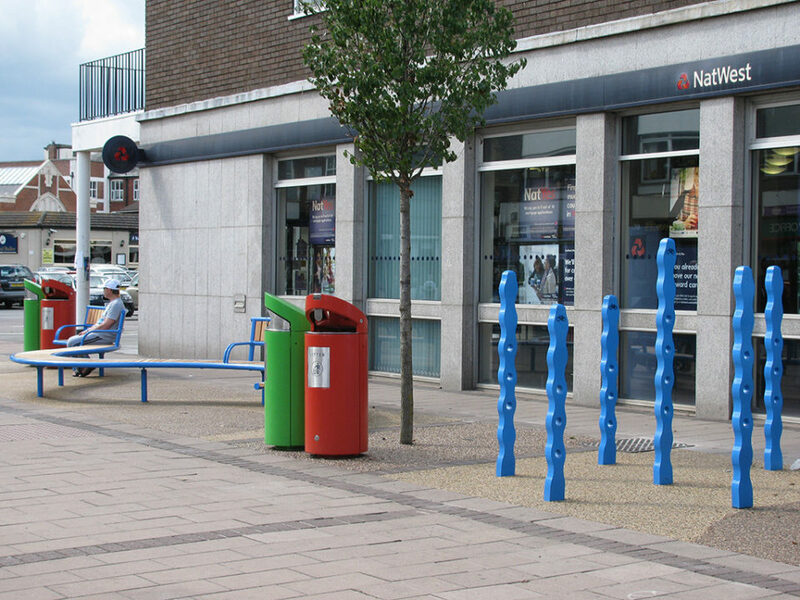 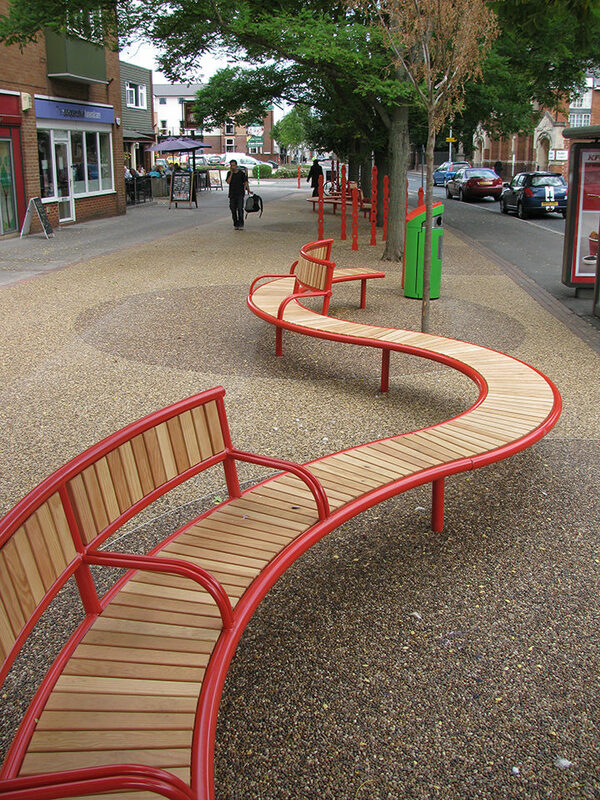 Commissioned by Exeter City Council to design new street furniture for Cowick Street, St Thomas, Exeter. 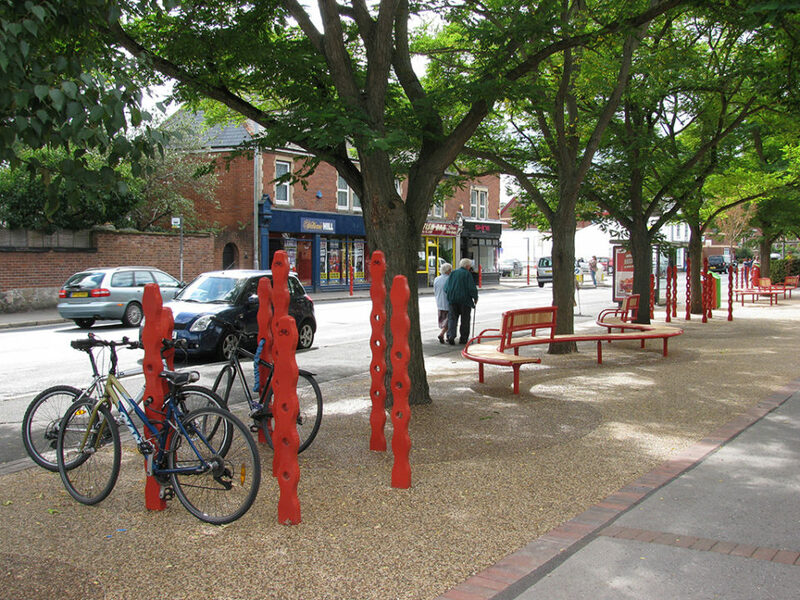 The process went through several stages of public consultation with residents deciding what they wanted and choosing the final designs. 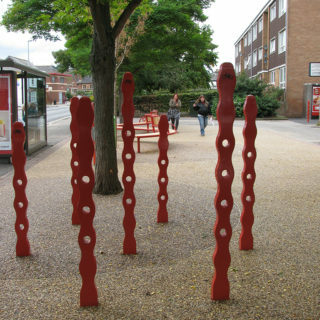 The shapes are based on Potamogeton Crispus, the curly pondweed, a Devon Notable Species, and the colours drawn from the river, the plantlife and the red soil in the area. 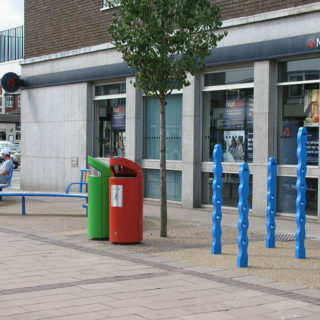 With thanks to Devon Wildlife Trust for their assistance in research.